Love Rota wheels? Make sure you go and join our official Facebook page along with 22,000 other fans for daily updates and news. In addition to this, we’re always keen to see the different setups and wheel choices you all run, and as you can see from the gallery below it’s a pretty diverse selection. Got a car running Rotas? Head over to our Facebook page and send us some snaps! Here at Rota we produce a wide range of wheels for the Nissan S14a guaranteed to give a perfect fitment without modification. However, we also produce some seriously aggressive widths and offsets such as the 18x11in Rota MXR pictured below, and despite the need for overfenders we’ve got to admit they look absolutely badass once fitted! Imprezas aren’t always the easiest cars to fit wide, aggressive wheels to, so it’s always awesome to see one breaking the norm especially using Rota wheels in the process! 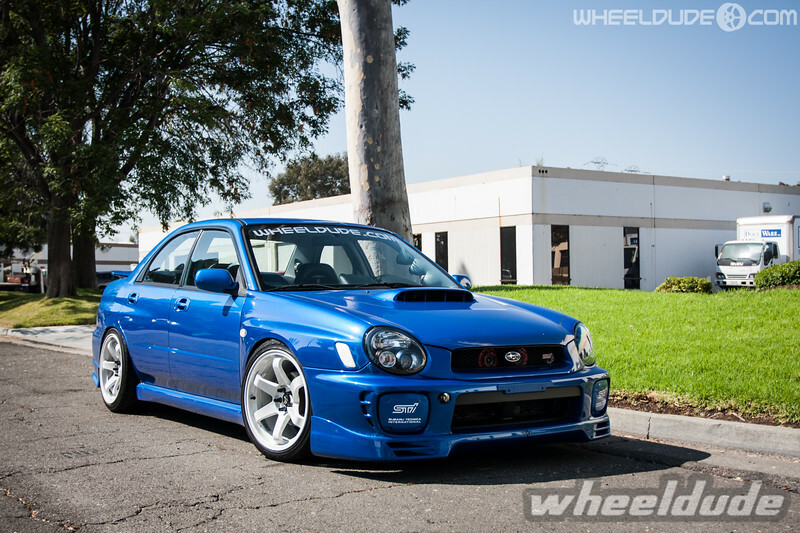 As the North American distributor for Rota, Wheeldude.com are constantly changing the setup on their 2002 WRX (as you’d expect) and we absolutely LOVE the latest guise. This is what we love about Facebook and social media – being able to talk to you guys directly and see exactly where our wheels are going! Yesterday we received a message from Ryan Botton who owns this sweet BMW M Coupe pictured below. The M Coupe is a properly unique car, running the straight-six from the M3 in a shorter and lighter chassis making it a proper little handful! If you follow the Rota Wheels Facebook, you’ll know that we’re BIG fans of Ed Coley’s ‘instant lifestyler’ S14. Sitting pretty on staggered Rota Grids, Ed’s played around with a few different sizes and finishes including bright yellow and matt black, and it always looks killer on his Vertex-kitted bodywork. It’s good to see so many of you Rota fans getting involved in the action over on our Facebook page, including Phillip Babb’s freshly-resprayed Nissan S14a. Running 50mm Origin overfenders alongside a Monkey Magic bodykit, Phillip’s opted for a set of staggered Rota MXRs (18×10 ET8 up front, 18×11 ET8 on the rear) finished with a custom gold centre which looks fantastic, especially contrasted against the Thunder Blue body colour. We do love the Honda community – especially when there’s still so many awesome Civics being modified year after year like Vince Knight’s EK Civic. This matt-black monster looks super tough sitting on Rota Grids, unusually packing a staggered 15in up front and 16in on the rear setup. Oh and how cool is the front splitter/canards setup! If you want to see more of this, check out his facebook page facebook.com/Aatomotion – looking good Vince!